Building a website on WordPress has always been easy. But if you really want to make your website stand out from the growing crowd, you're going to need some help. For our money, a subscription to Storeshock WordPress Themes & Elements does the trick almost as well as having a pro designer by your side - and it makes the process even easier in the bargain. First and foremost, you'll get a ton of original content with a Storeshock account. 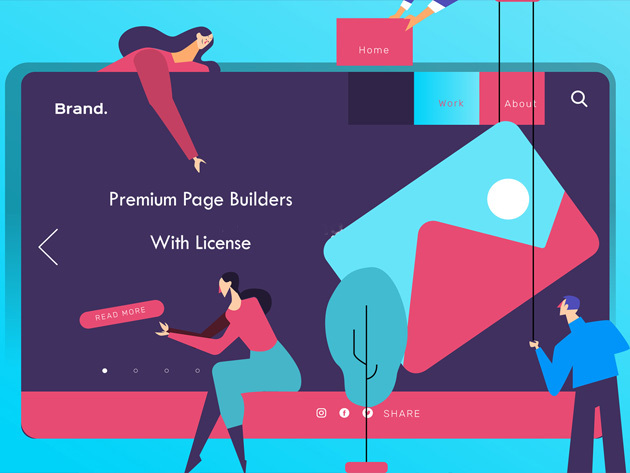 That includes access to a library of more than 1,000 WordPress templates, themes, and plug-ins, all customizable with built-in color filters and overlay options. What's more, you can streamline the whole process of building a site. Storeshock comes equipped with a framework that lets you simply drop and drag formats, content and more, and lets you convert PSD and AI designs into layouts with a snap. A subscription to Storeshock WordPress Themes & Elements is on sale for $59.